A change this week! Instead of the regular giveaway, here is a wonderful contest for YOU to flex YOUR design muscle! Many Hands Marketplace/ Kazuri West is sponsoring a design contest for anyone to enter. There is only one stipulation - the design must feature at least one Kazuri ceramic or Samunnat large hole slider beads. Otherwise, any technique, any jewelry piece will be up to you! Necklace, bracelet whatever creative types out there can come up with!! See details below. 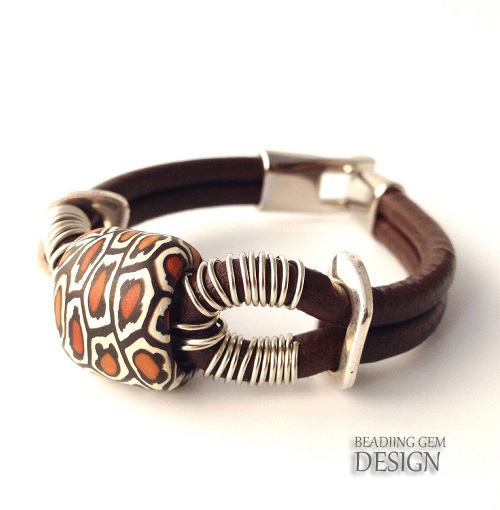 The large hole slider beads are designed to fit Regaliz leather. 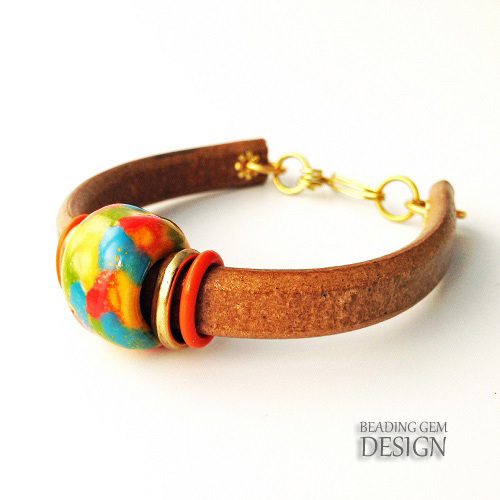 In this first bracelet design which features a brightly colored Kazuri bead, I used coordinating gold tone sliders and colored rubber bands to flank and keep it in place. I didn't have any gold clasp on hand so I punched holed and added eyelet rivets and made my own wire hook. Other leather cords can also be used. For this next design, I didn't pass the cords through the Samunnat polymer clay large hole bead at all but doubled it up on either side. Wire work inside the bead holds both sides of the leather together! There is also no need to use any leather in your designs if you don't wish to. 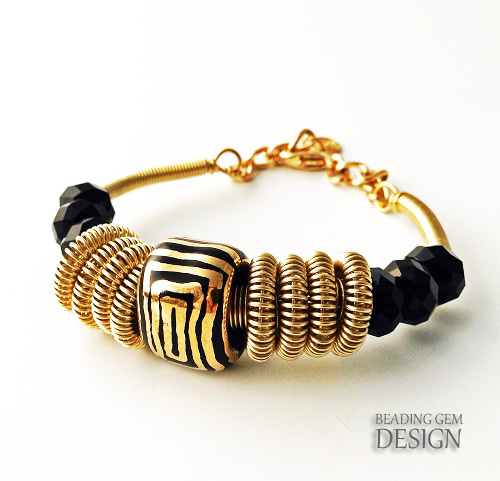 This last design of mine is simply a wire coil accented bracelet which features a beautiful Kazuri large hole slider bead. What sparked the creation of the contest was news about the travel advisories for Kenya due to the most recent terrorist attack by Somali militants. While the Kazuri women and their families are safe as they were not near the affected area, the resulting drop in tourist numbers would mean Kazuri will lose even more local trade. The artisans are mostly single mothers who are supporting many family members. So promoting more international sales is the way to go. These women collectives are in tough parts of the world where there are few resources, if any, to help them. The odds of finding any employment are heavily stacked against them as they are not educated. They are also culturally and socially disadvantaged just because they are female. For some of the abused women, even family is no safe haven. One Sammunat artisan is thankful for being able to earn because she said she didn't have to beg on the streets. Remember too, women are the bedrock of families and communities. These women will not only be able to feed their families but also have money to spare and be able to send their children to school. Impoverished families have no choice but send their children out to work to put food on the table. Basic schooling is not free in many poorer countries. Adelaide Hoodless, (1858-1910) the Canadian educational reformer and founder of the Women's Institute said it best - “Educate a boy, and you educate an individual. Educate a girl, and you educate a community.” Educating that next generation of girls will be key to change in some of the most repressed parts of the world. This is something extreme militants understand all too well. That's why they abduct schoolgirls or shoot them. Malala Yousafzai, the Pakistani teenager who spoke up for the education of girls and who survived after being shot in the head by the Taliban in 2012 is brave and strong. Her father said it was nothing he did which made Malala so exceptional, only what he didn't do. He didn't clip her wings. So let's help give the women and girls wings - one bead at a time! Design Contest deadline is August 28, 2014. Winning designs will also be shared on social media. 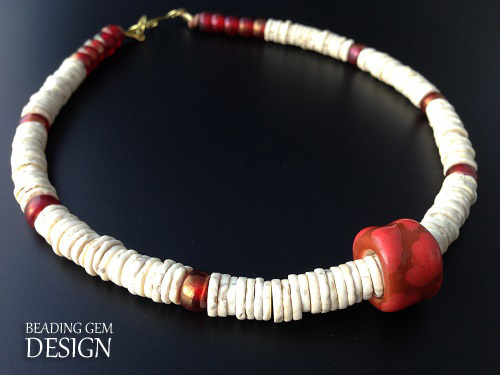 Pearl Blay - Canadian jewelry artisan and author of the highly popular jewelry blog , The Beading Gem's Journal. 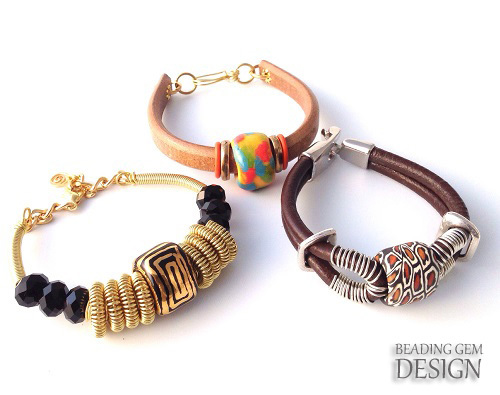 She is a Design Ambassador as well as a product and jewelry book reviewer for many companies both small and large. She is very active on social media. Kerrie Slade - Award winning beadwork designer from the UK. Her work has been published in numerous books and magazines around the world. 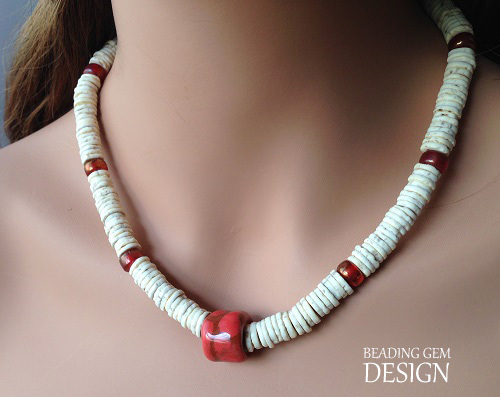 She also teaches internationally as well as sells her seed bead patterns via her website. Kerrie writes her own blog as well as a monthly blogger for Bead & Button magazine and is also a Design Ambassador for Preciosa Ornela. Sandra Francour - Award winning jewelry artist in San Diego, CA. Her work is sold in boutiques, galleries and museums, including The San Diego Museum of Art, The Women’s Museum of California, The Mingei International Museum, and The Huntington in Pasadena. She has traveled extensively throughout the world and her experiences with so many different cultures provide her with the inspiration for much of her jewelry. Paulette Walther of Kazuri West- Many Hands Marketplace and Kazuri Beads USA - Master Distributor and importer of Kazuri beads (Kenya) and master Distributor and importer of Samunnat beads (Nepal) Jewelry Designer and Design assistance and product development for the ladies of Kazuri and Samunnat. Good Luck! PLEASE SHARE THIS POST!! Also do share your comments on what type of beads you like best from the Kazuri and Sammunat bead lineup or even what you would like to see in their collections in the future! This sounds like so much fun. Too bad I don't have any of those beads or I would be entering. Great prices at the shop though so I will be back. There's still time to buy some and enter, Shaiha! So glad the Samunnat ladies are excited!